Colorado Travel and Tourism Authority - State Tourism Site. "Land of Cool Sunshine and Home of the Great Sand Dunes National Monument, Adams State College, San Luis Lakes, Zapata Falls and Much More..."
"Welcome to Aspen and Snowmass, in the heart of Colorado's Rocky Mountains. Come and rejuvenate your mind, body and spirit!" ""The little town nestled between the mountains and reality." The Denver Post." Cannon City Calendar of events. "Carbondale is at the heart of the Roaring Fork Valley, nestled beneath majestic Mount Sopris, and at the mouth of the spectacular Crystal River Valley." "Whether you're interested in a weekend getaway or a fun-filled vacation, you'll find Colorado Springs offers all you could ever want; a wide assortment of attractions, western history, shopping, breathtaking scenery, warm, sunny days and cool nights, modern accommodations, restaurants to fit any budget, and a mountain playground for outdoor enthusiasts." "Crested Butte is located on Colorado's beautiful West Elk Loop Scenic Byway and is home to some of the World's best skiing and mountain biking. Crested Butte Mountain Resort has been chosen as the site of the first-ever US No Limits Center." "Welcome to the Mile High City. A city of unexpected surprises, Denver is filled with history, art, culture, entertainment and energy - all in a beautiful location at the foot of the Rocky Mountains." "Get an authentic taste of the old Southwest at a chuckwagon dinner, rodeo, or honky-tonk saloon. Visit our art galleries, unique shops, restaurants and casinos. Our mountains, rivers and lakes provide the perfect playground for the active traveler...or the perfect mountain retreat or for those looking to get away from it all." Calendar of events. or from Colorado Vacation Guide. "Estes Park has a tradition of friendly hospitality second to none." "Our scenic Rocky Mountain location and famous Hot Springs and Yampah Spa have made us a vacation destination for more than a century." Calendar of events through their home page. Or from Colorado Adventure here. No calendar of events at this time. "At the hub of the Top of the Rockies Byway is the historic city of Leadville, North America's highest incorporated city (10,430 feet elevation), and the frontier West's wildest, richest, silver mining boom town." "Ouray, the "Switzerland of America" has been a destination of world travelers for more than 100 years. The entire town is listed on the National Register of Historic Districts." "A mountain of good times!" "an incredibly beautiful and comfortable resort. It boasts one of the best ski mountains in North America (with more than 2,500 acres of terrain and nearly 4,000 vertical feet) and virtually all the lodging is ski-in/ski-out." "including Pikes Peak region, Upper Colorado valley and San Luis valley." "There is a special mystique about the southwest region of Colorado. 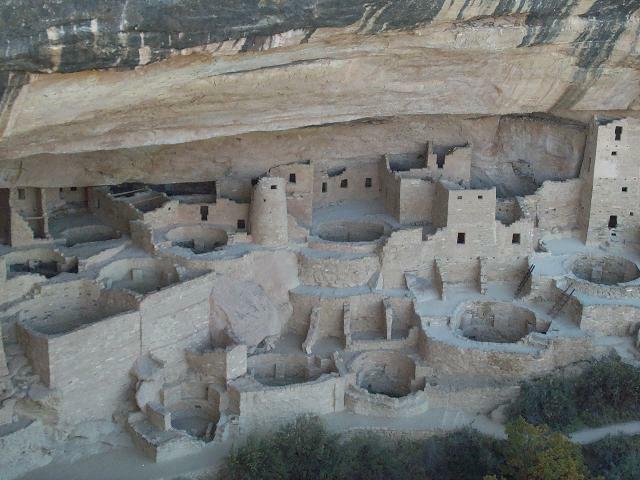 It can be felt among ancient Anasazi Indian cliff dwellings at Mesa Verde National Park and in the quiet of rugged mining ghost towns high in the San Juan Mountains. From the sheer depths of the Black Canyon of the Gunnison National Monument to the exhilarating vistas from Grand Mesa, world's largest flattop mountain, the region is rich in western history, Victorian architecture and Native American cultures." "located in the beautiful San Luis Valley of Colorado where the Rio Grande and southern fork meet." "A resort for all seasons. Rainbow Weekend in July with the annual Hot Air Balloon Rodeo." "We're smack in the middle of the Rocky Mountains starting just 76 miles northwest of Denver. Along your journey you'll find many smiling faces and storybook legends filled with cowboys and Indians, prospectors, trappers, railroad pioneers and determined frontier settlers. Hang on to your hat and get ready for an authentic ride through the classic American West." Their home page is a calendar of events.